Thanks for great oils for our racing team, since 1999 our racing program has done nothing but move forward in performance & reliability. In November 1998 when we were first introduced, I will admit that a vegetable oil based product seemed impossible. Then we tested the biobased lubricants in the shop, then on the track and with your willingness to follow my leads and suggestions the tests were a complete success. I felt totally confident with you and your products. Some of the tests included a Superflow Dyno 3 day engine session on a 358 Cubic Inch, 18 Degree, and 9.1 CR testing at RPMs of 5000 to 8500. Once we arrived at the track we installed the vegetable based oil and proceeded to run the next series of testing, 25-50-125 laps ranging from 5000 to 8500 RPMs. During the first 25 lap session, driver Gary Helton noticed by closely monitoring the oil pressure and temperature gauges the significant raise in oil pressure (15 PSI) and decrease in oil temperature (30 Degrees). This pressure and temperature held true through the remainder of the laps at 411 Motor Speedway. With this many laps on the engine I traveled back to the shop, disassembled the engine an inspected all bearings, valve train components and cam roller lifters (which I have found in the past take most of the wear and tear and have seen trouble when using synthetic oils). Problems were eliminated with RLI Super High Performance Racing Lubricants. At the end of my evaluation, I found no scuffing or gaulding of any kind and was completely satisfied and ready to take on the 2005 racing season with your products. 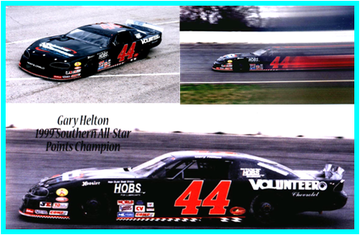 The Volunteer Performance/Volunteer Chevrolet #44, along with Gary Helton behind the wheel, set a new track record in 1999 & 2004 season Southern All Star race and claimed the pole position in the Early Bird 100 held in Birmingham, Alabama. From that point on the season and race car were flawless. As I performed routine maintenance (valve springs, valve guides, roller lifters and engine bearings) on the engine, I discovered less wear and fatigue. For example, the engine bearings that I currently use are a Teflon coated type bearing (rod, main and cam bearings), normally the Teflon is either worn off or at least 75% of the coating still remained. In addition, the roller lifters that normally show scoring by 400-600 laps, again by using your products, at the end of 800 laps there were still no signs of scoring. As the season progressed the Volunteer Performance/Volunteer Chevrolet #44 claimed 3 other pole positions, several top 5 positions and 2 event wins. 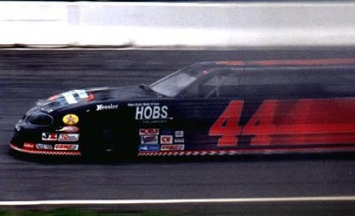 When it was all said and done #44 completed over 3000 laps and secured the 1999 and 2004 Southern All Star Super Late Model championship. We also moved into the NASCAR series and won our division.I have found that your Biobased Engine oil is the best lubricant thus far. We are now using RLI Biobased Lubricants in the engine, transmission, and differential with great success. I am excited and feel fortunate to be pioneering light weight Biobased lubricants for the racing year industry with you and your company.